*Names have been changed to protect the messy. Jasmine, Thank you for reaching out to me! I’m so sorry to hear about your divorce. 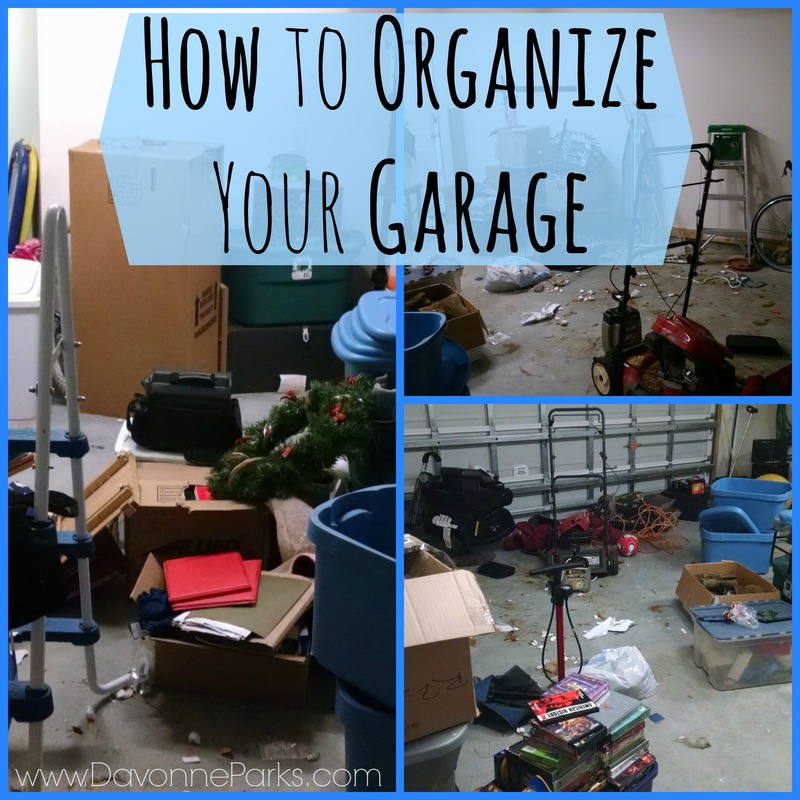 I can see that you have a really great start on your garage, and that you have several good storage totes! Can you set some of the larger items that you no longer want beside your road? Our old things have always magically disappeared overnight when I’ve left them next to the road! If that’s not an option for you, try calling your city office – they usually have a day set aside to pick up things that aren’t considered normal trash. For the nicer items, you could call a few local consignment or thrift stores – many of those places offer free pickup. For the things that are left, group like-items together. For example, all of the movies could go into one storage tote and the outdoor items (rakes, bicycles, lawn mower, etc.) could be lined up neatly along one wall. Tools and Christmas decorations could be placed together in their respective totes as well. Label the outside of the totes so you don’t have to open six boxes every time you need one item. I’ve labeled totes by putting packing tape on the front of the tote, then writing on the tape with a sharpie. Easy to read, and easy to remove! Then stack the totes along the wall or on a shelf and you’re done! I know it can feel overwhelming to look at, but often times the hardest part is just getting in there and starting. You’ve totally got this! If you want more tips about how to quickly organize storage areas, check out this article that I wrote about how to organize a storage space or this article about the 60 minute storage-closet cleanup project. What advice do you have for Jasmine as she works in her garage?